Hello Lenovo K4 Note users an excellent news for you if you’re planning to root your smartphone. Many users emailed us and contacted us through our Facebook Page about how to root Lenovo k4 note without PC and we had no development in mind as we’re working on other devices these days. 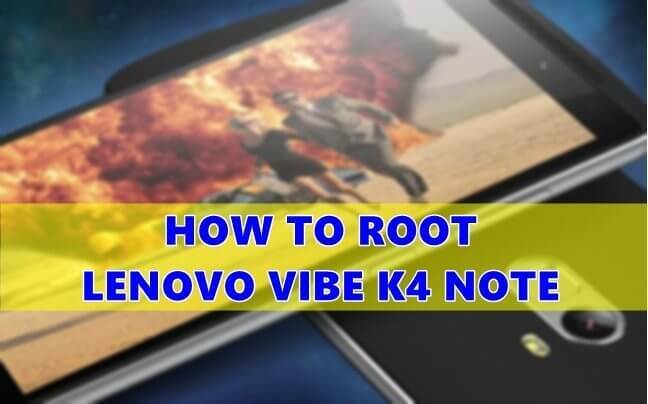 Fortunately, we found that Kingroot application works pretty flawlessly and roots Lenovo K4 Note without PC and after that, we can uninstall the unwanted pre-installed applications on it. So how to root Lenovo k4 note without PC? It is quite easy to do because you do not require much tools or drivers to use the get it installed on your PC but just an application on your Lenovo K4 Note itself and run it to root it. So without wasting time lets see the tutorial below. Download Root Checker App from Google Play Store and check if your Lenovo K4 Note has been rooted properly and has root privileges/access. What Are The Advantages Of Rooting Lenovo K4 Note Vibe? Once you have rooted your device, you get root access. You can delete applications from the system or unwanted pre-installed applications on your device. Some advanced applications require root access like Xposed Framework or Clean Master. You can explore many hidden features on your device. You can install custom recoveries like TWRP or CWM or Philz Recovery on your Lenovo K4 Note. Custom Roms can be installed on rooted devices. NOTE: Custom ROMs for Lenovo K4 Note Vibe is on the way, please stay connected with us. Once the development is started, we will bring the custom ROMs for Lenovo K4 Note. As of now, we have Stock Rom for Lenovo K4 Note which has been officially released by Lenovo, and you can check it out here. Can you also make a tutorial on how to install the Xposed Framework please.